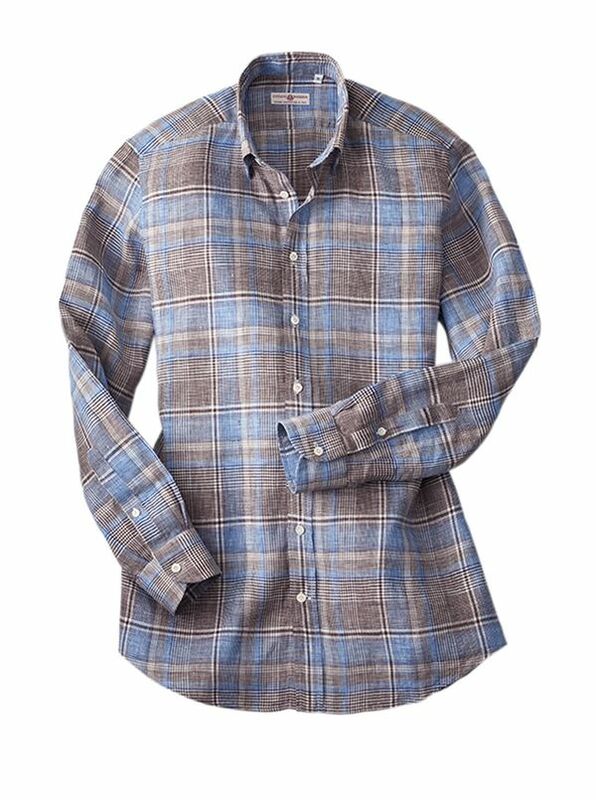 Linen Plaid Shirt by Luciano Barbera is lightweight luxury tailored in Italy with hidden button-down collar long sleeves. Luciano Barbera celebrates the intelligent spirit of the individual with clothing that combines traditional values with modern fabrications. Always Entirely Manufactured in Italy from the first to the final stitch every garment is destined to become a treasured personal extension of the person wearing it.